[A great supporter of mine sent me this. This is a reminder from the past. 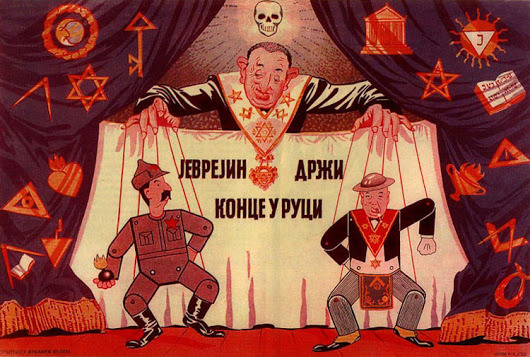 The Jewish puppeteer, behind Free Masons, communists and fake conservatives like Churchill. The race of garbage doing what they do best. Then when the truth comes out, the race of filth run around shrieking about "antisemitism”. But "antisemitism” is nothing more than the beautiful moment when THE TRUTH comes out and shines in the light of day! That’s when the Jews go wild because the truth must be hidden again … so that their crimes and filth is hidden so that they can lie and trick future generations of people.